By Light Unseen Media, 9780979302824, 274pp. It's 1952, a time of upheavals and social tension as America rockets through the years between world war and domestic revolution. Diana Chilton, raised within a secretive magical organization, the Order of the Silver Light, has reached a crossroads in her life. Over 30, her marriage ended, burned out on political activism and frustrated by the restrictions of the male-dominated Order, she leaves Boston for a tiny town in Maine. 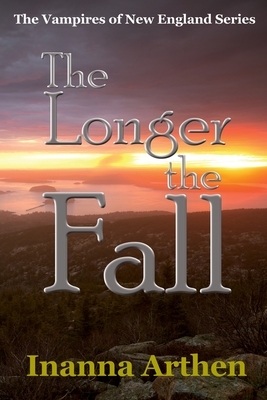 There she tracks down Thomas Morgan, a member of the Order who she believes may be immortal. She hopes he can help her find, or create, a more dynamic and worldly organization that will use magic to catalyze social and political change. Thomas Morgan is indeed immortal, but Diana never expected that he would also be a vampire, transformed by the faery folk two centuries earlier when he made a rash bargain to cure a disfiguring illness. Now he enlists Diana to assist him in his struggle against the power that he feels enslaves and controls him. Together, Thomas and Diana dedicate themselves to the most ambitious and dangerous magical working either of them has ever attempted. Their plan spans two years and draws several other people into its vortex. Both Thomas and Diana have hidden motives behind their decision, and neither of them is fully aware of who else knows about their plan and is subtly influencing it. Their refusal to be fully honest with themselves and each other leads to a disaster beyond their worst nightmares. They are forced to confront the deadly consequences of their fully developed spell turning against them and those who helped them. Ultimately, they learn that the only way to get what they each wanted is to accept the very things they wished most desperately to avoid.